HEADER ROLL BAR TOP, SPICE, 97-06 JEEP WRANGLER - Jeep Parts Guy - All the Jeep Parts You Need! 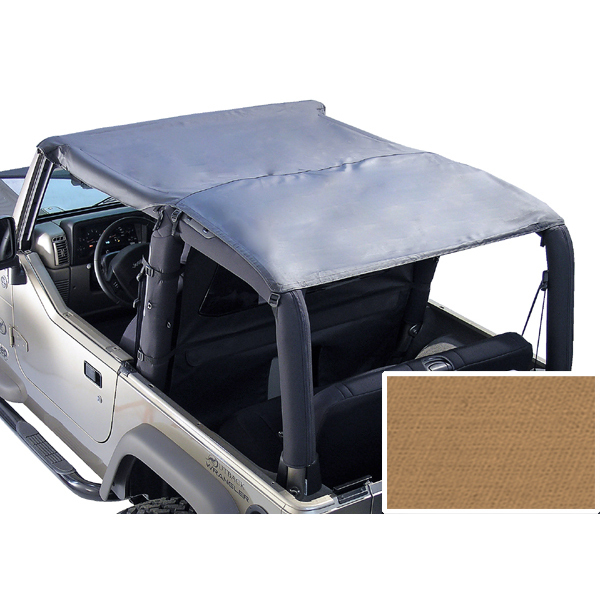 Provide the ultimate summer sun and rain protection with a Rugged Ridge Roll Bar Top. Attaching the same way as our durable Summer Briefs, these full length tops provide protection from the elements for both the front and rear Briefs, these full length tops provide protection from the elements for both the front and rear passengers. All 97-06 models are designed to be used with a no drill Windshield Header (sold separately) for quick conversion from hard top to Summer Brief. An optional Windshield Channel/Header is required for installation.